One of the main reasons I decided to get my real estate license was because of my personal experience trying to buy a house. When I graduated from college and moved to Austin, I knew it would be a good idea to buy a house and rent out the extra rooms to my friends. I was living in a 5 bedroom house with 4 roommates at the time and I was very determined to do this in my own house and make some money. I started looking into buying a house and the first thing the realtor I was working with did was show me homes; a waste of her time and mine. I was in no position to buy a house by myself at that point in my life, yet she didn’t ask me questions about my situation and she didn’t try to educate me on the process. A couple years later I realized young people were not getting proper education on buying a home. Instead, they were being fed false information, getting their hopes up and feeling devastated when they were told it wasn’t in the cards for them. I decided I would make this a bit easier for our generation and began researching real estate. Four years later and I feel so lucky to get to work with amazing clients, the bulk of which are first time buyers, investors, and sellers. Before reading the statistics I’ve provided of my first-time buyer clients in Austin, please keep in mind who I market to. The bulk of my clients are people who are interested in cutting down their rent and see the value in building equity in a home. They are young professionals who either want to “house hack” (live with a roommate or two or use Airbnb to cut down on their mortgage), or buy a house with a monthly payment equal to or less than the rent payment they are paying now. I don’t particularly market to families so most of my clients are not married or they are newly married. Ok, …now you may proceed! A lot of this research was eye-opening to me. A lot of my social media posts tend to be geared towards women but I love teaching anyone to learn how to “house hack”. 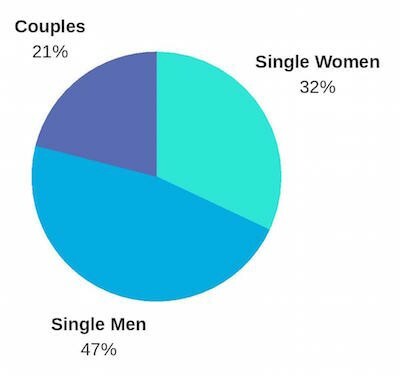 For some reason, I thought the bulk of my first timers were women but it looks like it’s pretty evenly divided between men and women — men are a bit in the lead. The majority of my first-time buyers are between the ages of 25–34 which doesn’t surprise me at all. The city of Austin has a very young population and they are mostly educated. They know that if they live with a roommate or two now, and are currently renting, they may as well try to buy a house and get someone else to pay a part of their mortgage for a couple more years. Many of my clients plan to live in their home for 3–5 years and then use it as a rental property later. It’s an easy way to buy your first investment property. 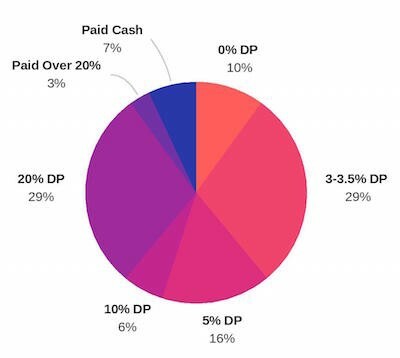 If you buy a home you don’t live in, you usually have to put 20% or more down for a down payment. If you buy a home to live in, you can put as little as 3% down. Some of my clients see the value of buying a home but can’t quite manage to do it on their own. Sometimes they get a family member to apply for a loan with them. Usually, the reason for this is because they have too much debt (damn you student loans & America for not teaching us how to use Credit cards!) and their debt to income ratio is too high for them to afford a home. Another reason may be the buyer does not have a salary job or is new to working for themselves or they’re a freelancer. It can be harder to get loan approval by yourself if you do this kind of work. Sometimes my clients need a little cash to buy a house and they get a “gift” from a family member or friend. If you have $5k saved up but your lender says you need $10K to buy a house, asking your parents for a loan may be a good option. I know this option comes with privilege and not everyone can do this. Many of my clients want to buy on their own and don’t like the idea of partnering with someone, but sometimes if you wait a year or two until you can afford a house, prices or interests rates go up and you have less buying power! Talk to friends or family, they may be willing to buy something with you or loan you a bit of money. Just be smart about it! How Much Was The Price Of The Home? 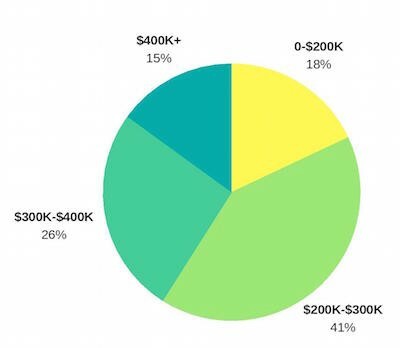 41% of my clients bought homes within the $200K-$300K price range. I have a feeling this will move to the $300K-$400K range in the next couple of years. Don’t think you can’t house-hack at a higher price range! One of my clients this year bought a 4 bedroom 3 bath $400K house. It was newly renovated so he won’t have to put too much money into it and he’ll be able to rent out 2 rooms for $900. This will cut his mortgage payment to about $600 a month. He has a third bedroom he can rent out if he’d like to lower his mortgage even more. This works for him and everyone’s situation is different! Lots of pros and cons to consider. A large number of my first-time buyer clients come to me wanting to buy a condo. Their reasons? They don’t want a lawn to take care of and they think it will be cheaper. Condos are tricky because many of them are “non-warrantable”. That basically means it may be difficult to get a lender to lend on it and you may have to put 20%+ as a down payment. This depends on the condominium project! 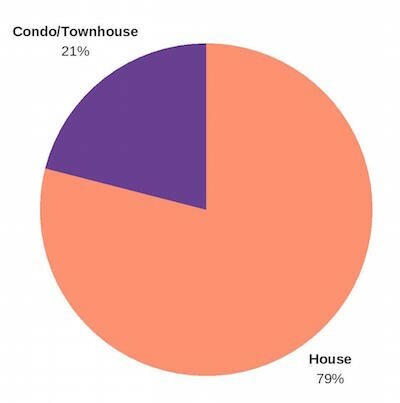 My clients with a low budget and less cash, who initially think they want to buy a condo, usually end up buying a house! 29% of my clients put 3–3.5% down on their home. This allows them to save some cash for any unexpected repairs that may come up or to renovate the home. Also, many of my clients only have that amount to put down and that’s completely ok! 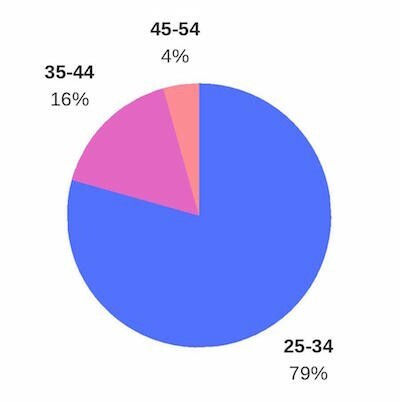 Remember, the bulk of my clients are between the ages of 24–35. At age 24, I was a confused human who had no idea what I was doing. Bravo to my young clients for having their life together. Very impressive. When I was growing up, my dad always told me it was best to have no less than a 20% down payment. His argument was he didn’t want to pay PMI (Private Mortgage Insurance). That cost is typically 0.5 to 1.0% of the loan amount and is charged to a buyer who puts less than 20% down on their home. 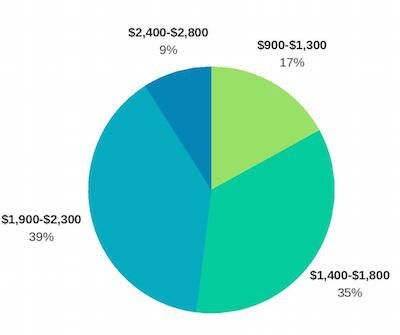 So, if your loan amount were $100,000, meaning you’re borrowing $100,000, you would pay at most $1,000 a year extra, for PMI, if you put less than 20% for a down payment. Consider your own situation. Do you want to tie up that much money — a 20% down payment? Or, is that your rainy day fund? Think about how “liquid” you need your cash to be. Paying 3 to 15% down payment may not be so bad! Think of the risk vs. return. Your lender should be a good resource to figure out what’s right for you financially. 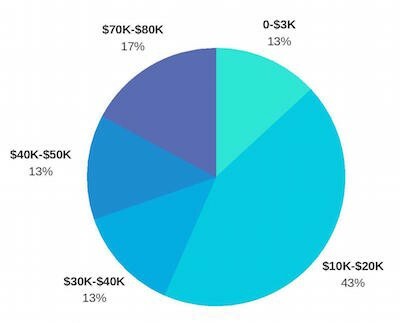 Most of my clients paid between $10–20K to buy a house. That includes the down payment, escrow, closing costs…everything! That was pretty mind-blowing to me because it’s not far out of reach. That’s an amount you can save up by cutting out a few luxuries and creating a budget. 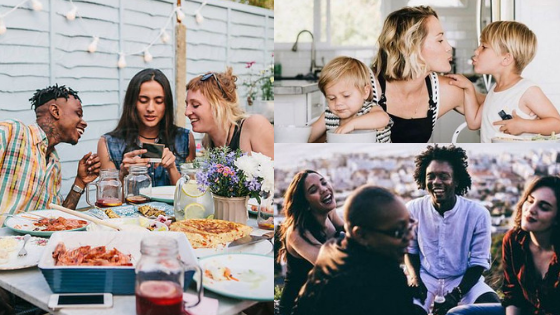 My good friend Kara Perez, founder of Bravely, has recently created a budgeting workbook that will be very helpful with your journey to saving up money to buy a house. She also has a lot of free financial resources on her website. Most of my client’s monthly mortgage payment is between $1,900-$2,300. 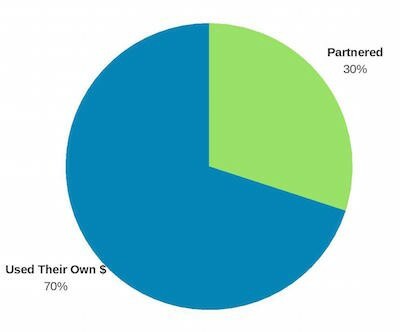 The majority of them will share their monthly mortgage payment with a significant other or roommates — super smart. Right now, if you wanted to rent a 3 bedroom, 2 bath house in the same areas my clients have been buying, the average rent would be around $2,000 a month. If you wanted to rent a 3 bed 2 bath house in a central zip codes of Austin (10 mins from downtown) the average rent right now is $2,500. I knew someone who was renting a small downtown apartment at the Bowie. He had a roommate and they were each paying $2,000 a month! Young people like this, who plan to stick around Austin for a while, should be saving money and building equity in a home. Many of my first-time buyer clients want to be as close to downtown as they can and in the direction closest to their work. I’d say the majority of my clients work downtown or in North Austin. 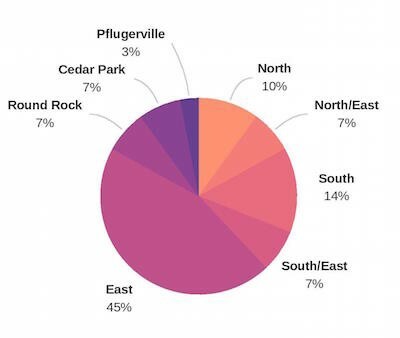 In 2017 & 2018 the larger part of my clients bought in East Austin zip codes. I hope this article has given you a little insight on buying a house. I like to be as transparent as possible about the whole process and show you that it is possible to get into real estate in many different ways. When I first got my license I specifically wanted to work with first-timers and many people warned me against it. They said that young people don’t want to buy or can’t afford it and they are hard to work with. People said I shouldn’t narrow my clientele to mainly buyers and mainly first-timers. Luckily I didn’t listen…once I have my mind made up and my gut agrees, it’s hard to turn back. I was very excited to share the article with you and show you that buying a house doesn’t have to take a lifetime of savings. It doesn’t have to be a 20% down payment and it doesn’t have to be your forever home! If you ever have any real estate questions, feel free to reach out. I also have a PDF version of my book on buying a house if you’d like to download it!